The Fed has capitulated to the markets, but can it avoid a recession? After Jerome Powell became Fed chairman in 2017, this publication made the not-so-bold prediction that he would bail out financial markets when necessary, although he doesn’t have a doctoral degree, and was talking and walking tough for most of his tenure. 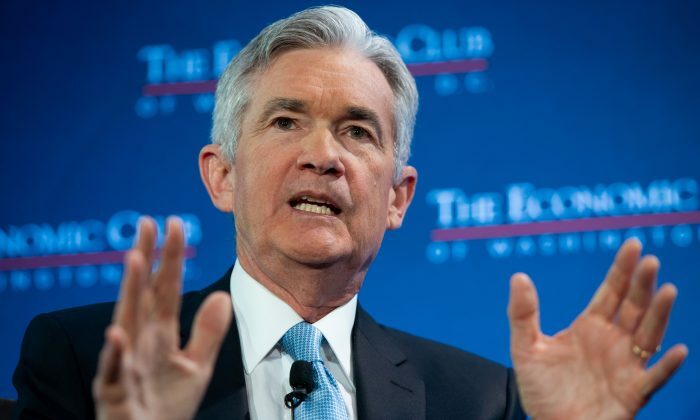 But when markets crashed 20 percent in the last quarter of 2018, due to Powell’s incessant raising of rates, tough talk, and reduction of the Fed balance sheet, he got cold feet, as expected, and flip-flopped with some very accommodative language. But that’s all it is at the moment: Just pleasant talk, no action, although the Fed is clearly positioning itself to act in the near future. The markets did expect more rate increases in 2019, but a January boost wasn’t a foregone conclusion even before Powell’s sweet-talking started in early January. The same with the reduction of the balance sheet, or Quantitative Tightening (QT). The only thing that has changed is the language. The Fed will continue to reduce its balance sheet by a maximum of $50 billion per month, which, in reality, is closer to $30 billion to $40 billion, because only a limited amount of assets mature or “run off” every month. So despite the sweet talk, nothing has changed from late December, when markets were staring into the abyss. However, financial markets are often removed from reality and try to discount the future. So the optimism is partly justified, since the Fed has now clearly communicated it won’t step further on the brakes of increasing rates, and may remove its foot from the brake of QT anytime it pleases. Before the verbal course correction, markets had to expect more rate increases and a continuation of QT—not a pretty picture. Now, the picture looks better because markets know that if economic or financial conditions worsen, the Fed will be there to have their back, as always. This is nothing new. It happens all the time, from big crises such as those of Long Term Capital Management in 1998 and the 2008 crisis, to smaller incidents like the U.S. debt downgrade of 2011 and the China jitters of 2016. However, the smaller cases are more instructive to understand the context we are operating in, and, in those cases, it’s not all about the Fed. In 2011, for example, when Europe and the euro came within an inch of collapsing, the European Central Bank (ECB) saved the day by expanding its balance sheet (i.e. printing money) by a trillion dollars with its clunky Long-Term Refinancing Operations (LTRO). Of course, those loans should have been repaid and the balance sheet reduced, but they got replaced by the ECB’s Quantitative Easing (QE) program a couple of years later, which has now also come to an end. In 2011, action was desperately needed as the Fed had just stopped its second round of QE worth $600 billion by June of 2011, and the United States’ sovereign debt was downgraded a notch in an unprecedented move by Standard & Poor’s over the summer. Markets were very jittery at that time, although they never declined the 20 percent that would classify the period as a bear market; it was pretty close, though. So, for most of 2011, central banks were still in expansion mode and had to save the markets by expanding even more. It worked, including the Fed’s strategy to take risk out of the market by buying longer-term bonds and selling shorter maturities, the so-called Operation Twist, which began in late 2011. In 2012, markets were down double-digits in the summer, in the wake of the Greece bailout and still lingering concerns about the eurozone. At that time, the ECB was in expansion mode with LTRO and the Fed was leveling off its second round of QE, when then-Chairman Ben Bernanke stepped on the gas again by announcing another round of QE in September, printing $40 billion per month. Of course, Mario Draghi did his bit of verbal acrobatics by promising the ECB would do “whatever it takes” to save the euro. Aside from Draghi, whose ECB was still expanding its balance sheet with various LTROs, the Fed took tangible action by boosting its balance sheet with QE3. It’s important to note that during those years, the global central bank and credit cycle had never even turned negative; it was just stocks that were scared of a eurozone crisis. The latest mini-crisis came when China had some significant problems with its economy and currency in late 2015 and early 2016. During that time, the Fed had already stopped QE and was slowly raising rates, and the ECB and the Bank of Japan (BoJ) were still in expansion mode. To arrest this double-digit market drop (it never made it to 20 percent bear-market territory like right now), the Fed had to delay its tightening schedule, the Chinese had to order the state banking system to expand money like there was no tomorrow, and the ECB and the BoJ kept printing. This set-up is different now. Not only haven’t central banks increased their liquidity injections, all except for the BoJ have completely stopped their expansionary policies and the Fed has even tightened for almost two years. Globally, we aren’t even close to 2016, 2012, or 2011, when some central banks were still in expansion mode and ready to put the foot on the gas again at a moment’s notice. The Fed and the ECB are talking about moving in that direction but the Chinese have become desperate again, and have boosted their aggregate financing by the highest amount on record ($685 billion in January). But they are on their own this time and the question is whether they can arrest a global credit down cycle on their own. So far, the Fed is only promising to brake less, not to inject another round of liquidity into the system, although that step may come in the future, but only after economic and financial conditions worsen again. In the meantime, this is bad news because, although central banks can act swiftly and print new money at a whim, they are akin to the captains of oil tankers. They can issue the order to change course and turn the wheel, but the credit system (the tanker) will take a while to adjust its direction. And the global credit tanker is turning into full-blown deflation mode, thanks to two years of actual and relative central-bank tightening. We are starting to see the beginning of U.S. dollar credit stress in emerging markets such as Turkey and Argentina and also in domestic financial markets such as leveraged loans. The biggest indicator of a complete deflation cycle is the inversion of the yield curve, or when short-term debt yields more than long-term debt because investors pile into long-term government debt as the safest investment in an economic downturn. The most common measure of this “inversion” is the difference between 10-year and 2-year Treasury bonds, which are only 0.2 percent apart. Other maturity mixes, like the 1-year to 7-year, are at parity and the 2-year to 5-year is negative. The action in government debt markets is just a symptom of what is happening in the real economy. “We are at a point when the yield curve shift begins to impact future growth by slowing credit extensions or even throwing them into reverse … Credit standards for commercial and industrial loans tightened in the fourth quarter … Tighter standards and weaker demand were also in evidence in real estate and consumer loans,” wrote research firm TS Lombard. To see how long it takes for the tanker to turn around after credit deflation has set in, we merely have to go back to some of the larger crises and stock-market corrections like 2008 and 2001, which took years to reverse even after the Fed cut rates and rapidly boosted its balance sheet, mostly before the economy entered a recession and the credit system started to deflate in earnest. And this is exactly what’s different this time. While the global financial credit tanker was merely stalling in 2011, 2012, and 2016, and the central bank captains just had to put their foot on the gas and increase speed, right now they have to turn the tanker around from deflation to inflation again—but the question is how far it will go. TS Lombard thinks there is still a chance before the 1-year to 10-year yield curve inverts, which has historically preceded recessions, with the exception of 1965. The Fed acted early in that case to prevent a recession, which is why TS Lombard thinks the Fed will completely ease off the brakes during its March meeting and taper the balance-sheet reduction. Whether that will be enough to turn the tanker and avoid a recession remains to be seen. If not, global central banks will be forced to step on the gas hard again and add a few serial numbers to their QE programs. Constitutional Lawyer Edwin Vieira explains the history and legal structure of the Federal Reserve System. Intro by Wall Street legend Victor Sperandeo. The New Fed Chair: How Much Does He Matter?